A worthy addition to your winter wardrobe. 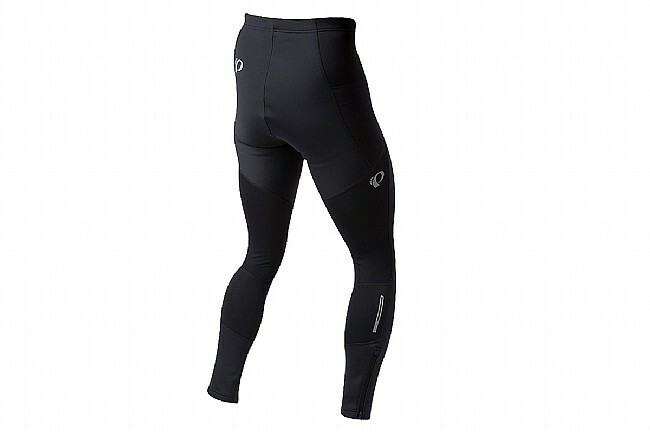 If you've got a favorite pair of bib shorts that keep you pedaling in comfort, but you need added wind and water protection for winter miles, look no further than the Pearl Izumi Men's Elite Escape AmFIB Tight. Shedding the bib straps and chamois of its siblings, this streamlined version is the perfect addition to an all-star cycling wardrobe. Constructed from a blend of wind and water repellant AmFIB™ fabric, Pearl compliments these tights with targeted Thermal Fleece™ fabric that's been treated with PI Dry™ technology to further splash and spray protection. Replacing the previous generations' ankle stirrup, the new version of the AmFIB tight chooses the more comfortable and easy-to-use ankle zipper for sealing out the elements. The Elite Escape AmFIB is available in four different versions. With the chamois and the bib straps, without the chamois but with the bib straps, with the chamois but without the bib straps, without the chamois or the bib straps. Constructed from a blend of wind/water resistant AmFIB® and Thermal Fleece fabrics. Ankle zippers seal out the chilly wind and rain and provide for easy on and off. BioViz™ reflective elements improve low-light visibility. These bicycling tights fit extremely well, and cover my legs down to the tops of my shoes to provide a welcome escape from cold and wind. 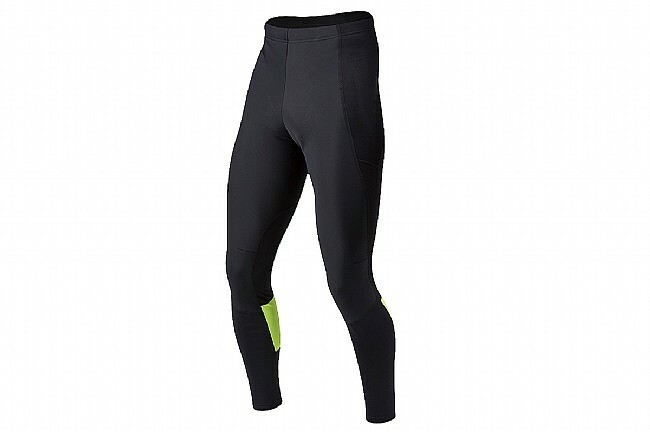 I have been using these tights for all riding where temps fall under 60 degrees. They are very comfortable and well designed, and I am extremely happy with them. This version has no pad, as I prefer to use cycling shorts underneath. Useful in the 20-40 F degree range, particularly when windy. Fleece insulation is warm but lighter weight. 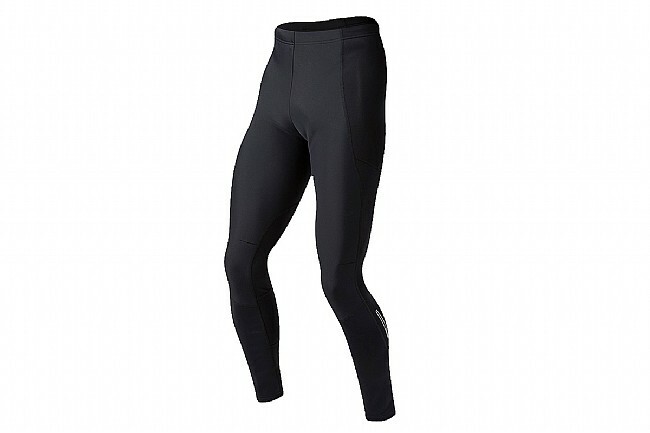 I use wool lightweight long underwear as more insulation between shorts and tights for temps from 0-20 F. Mine have just a thick drawstring, but I'd prefer an elastic waistband too. Not very stretchy and I feel them pulling down a little as I ride, so I stop occasionally to pull them up. If you're concerned about this, try the bib tight version. Fits snug at ankle zipper, good for adding booties, but limits me to a combo of a thin wool liner sock and mid-thickness wool hikingski sock.